Nintendo’s newest mobile game, Dragalia Lost, is now available on Android and iOS in the US, Japan, Hong Kong, Taiwan and Macau. The JRPG is free-to-play and, like other mobile games, relies on loot box-style in-game purchases for randomized items. Nintendo first announced the game in April and filled in story details with a few lore trailers and a Nintendo Direct. Players lead a young prince and a ragtag band of allies against his perfidious royal siblings and several powerful dragons. The chibi art style looks a bit like the Final Fantasy XV mobile game crossed with the roaming adventure of Final Fantasy: Crystal Chronicles. But Dragalia Lost isn’t following in that franchise’s footsteps: its creator, Cygames, made the wildly popular Granblue Fantasy, which reached 21 million players back in June according to DualShockers. Dragalia Lost is inheriting some of Granblue Fantasy’s features, like its rewards system that randomly doles out items, characters and upgrades in packs costing in-game currency. And like other gacha-style games, they all come in varying rarities. 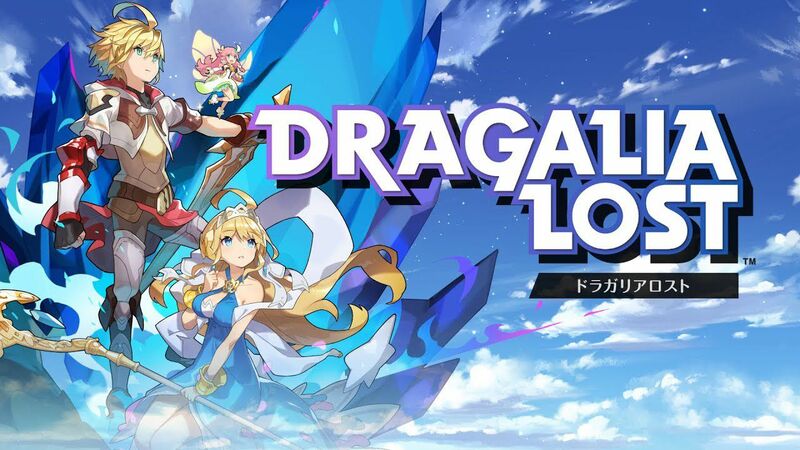 Dragalia Lost was initially slated for release in Japan, Hong Kong, Taiwan and Macau before an eventual release elsewhere, but the US was later looped in to that initial launch date. It’s still unclear when the game will come out in the other regions, including the UK and Australia. Nintendo’s previous mobile games Super Mario Run, Animal Crossing: Pocket Camp, and Fire Emblem Heroes have all been pretty successful. Dragalia Lost, on the other hand, is a brand-new IP, so it will be interesting to see if the Fire Emblem mobile game’s wild success (players spent over $60 million on the game in just July and August of this year, according to Sensor Tower) rubs off on Nintendo’s newest mobile title. Even if it doesn’t take off, Nintendo is pretty stable thanks to the perpetual good sales of the Nintendo Switch and games on the console. Its first financial quarter profit rose 44% year on year to ¥31 billion (around $273 million, £208 million, AU$378 million), as the Japan Times reported. A final note: iPhone XS and XS Max users are reporting issues of unresponsive screens while playing Dragalia Lost. The game’s official website suggested users should try restarting their device if this happens, but a hard fix might not come until a future update.